Thanksgiving is in our rearview mirror, and that means the next month is going to be busy with tree trimming, holiday partying and gift buying. Not to mention all that goes into the end of the year for running a business. We’ve identified ways in which concierge services, like those offered by Omega, can reduce stress this holiday season. It’s always a nice thought to decorate your office, but having a staff member stop working to hang snowflakes and garland is a tough pill to swallow. A concierge service can shop for office decorations and and fill your office with holiday spirit. At Omega, we have also hired a light-hanging service for our clients' homes, and we arranged for it all to be done by the time the individual arrived home. For family members or for clients, a concierge can buy, wrap, and deliver gifts for you. For your personal shopping, simply create a list and send the concierge to the mall. 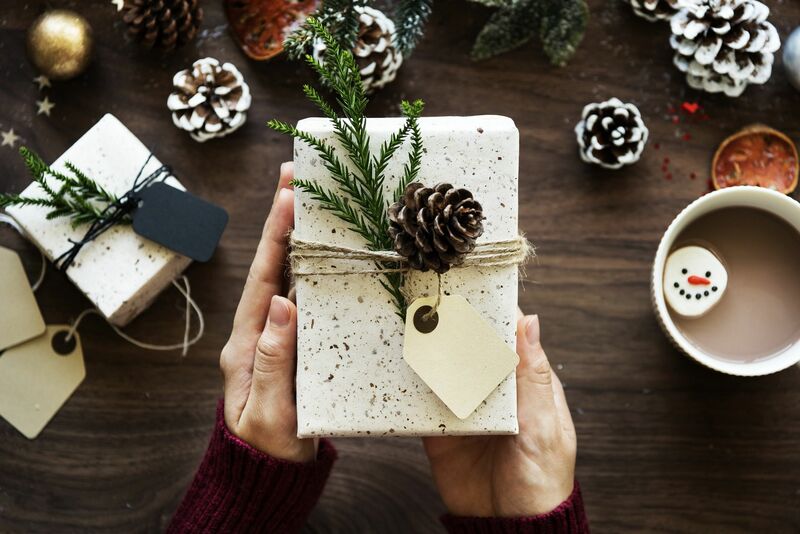 In years past, Omega has purchased gifts for a client’s clients, and we carefully wrapped each one and delivered it with care. Are you hosting the family for a big dinner, and you’re wondering how you’ll ever get the shopping done? A concierge can help. We regularly fetch groceries from the store and unload them in our clients kitchens. Whether it’s a catered lunch at your office, or you’re having a blowout in a hotel ballroom, concierge services can help. A concierge can book caterers, coordinate with venues, and even send out invitations. At Omega, we’re happy to help with any aspect you need. Booking holiday travel can be more stressful than the travel itself. Which site too use to book, how to add a rental car, and why is it so difficult to pick a seat on a flight? Give a concierge your travel dates, and they’ll take care of the rest. We book travel for our clients all the time, and they’re always glad to have us do it for them. Omega wishes you a wonderful holiday season, and please let us know if we can help de-stress the holidays for you.